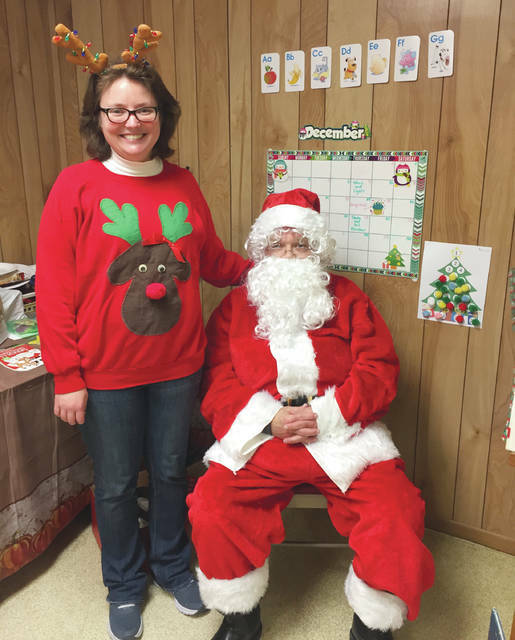 Santa Claus visited the Wornstaff Memorial Public Library in Ashley on Thursday. He spent time with children during story time and brought a present for each of them. Story time is held at 10 a.m. each Thursday at Wornstaff Library, located at 302 E. High St., Ashley. Pictured are Santa and Megan Johnson, the children’s librarian. For information about the library, go to www.wornstafflibrary.com.